Incumbent governor wins reelection with 56% of the statewide total. Picks up 1-in-3 votes in Baltimore City, a Democratic Party bastion. The first person to say he planned to vote for Larry Hogan was a little sheepish about it. “Except,” he added, “I might be voting for Larry Hogan. He’s not so bad,” apologizing for being unable to give a reason (“I haven’t looked at any of his policies – I’ve had some health issues”) and declining to give his name. But Republican Mary Ardabili, of Mt. Washington, was proud to announce her intention to vote for the incumbent governor. “He’s done a great job. I approve of his tax cuts. I think the state is going in a better direction,” said Ardabili, 50, who is a Trump supporter as well. Hogan’s Democratic predecessor, Martin O’Malley, she observed, “caused a lot of people to move out of state” with policies that hurt small business. 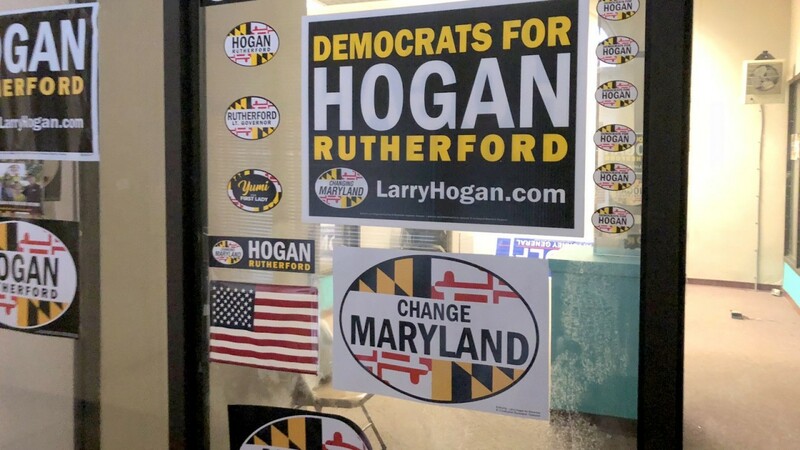 Thanks to these two types of voters – soft Democrats and hard-core Republicans – Hogan last night defied a national trend where Republicans were generally defeated in “blue states” that voted for Hillary Clinton in 2016. Hogan cruised to a comfortable win, defeating Democrat Ben Jealous by a 56%-42% margin. In so doing, the 62-year-old Hogan made history – he’s the first Republican governor to win re-election in Maryland since 1954. Despite Jealous’ attempts to tie the incumbent to Trump and to policies that have hurt the environment and education, Hogan successfully pitched himself as a moderate. 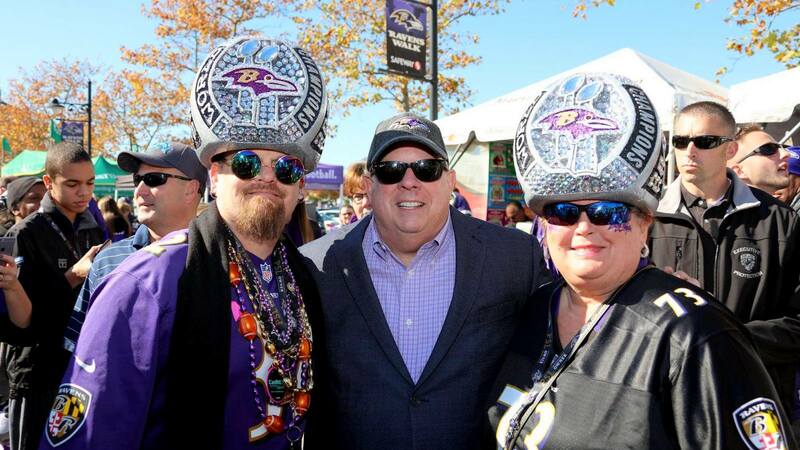 “It turns out I can surf, and I had a purple surfboard” – Larry Hogan. 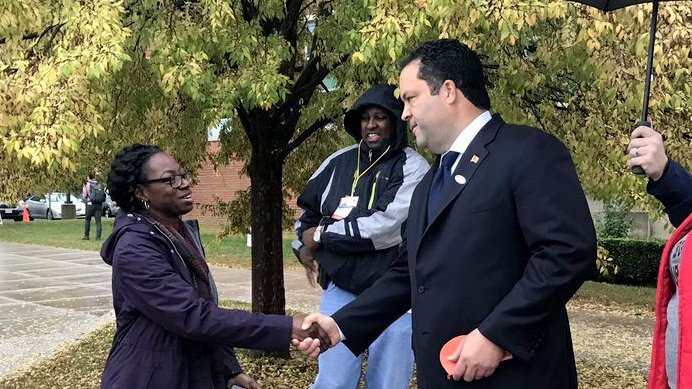 He succeeded not only in getting voters to cross party lines in a state where Democrats outnumber Republicans 2-1, but he also made surprising inroads in Baltimore. With 297 of 306 precincts reporting early Wednesday, Hogan picked up 53,495 votes – or 32% in a city where fewer than 1-in-9 voters are registered as Republicans. That’s up from 22% in 2014. “Tonight, in this deep blue state, in this blue year with the blue wave it turns out I can surf, and I had a purple surfboard,” Hogan joked in his victory speech at the Westin hotel in Annapolis. Jealous argued in his concession speech last night that the “odds were stacked against us” during the election because of large contributions from special interests. 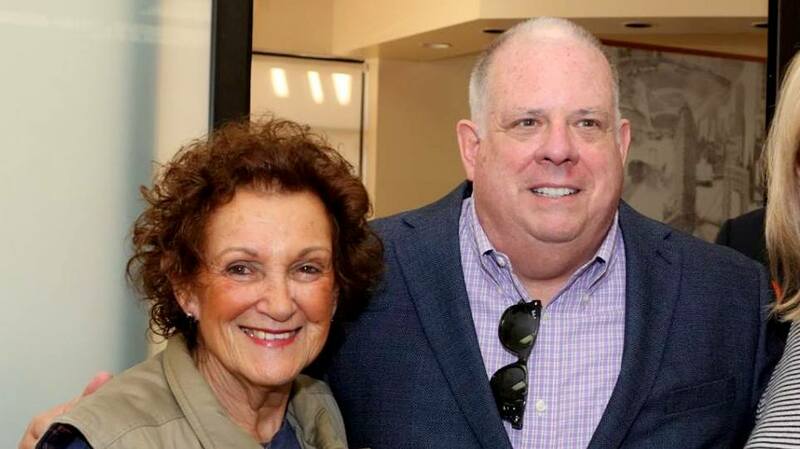 Hogan was able to push his moderate message to voters through expansive TV advertising. Overall, the incumbent spent about $12 million on his reelection campaign, or about four times more than Jealous. Hogan further benefited from $3 million worth of negative TV ads against Jealous paid for by the Republican Governors Association. 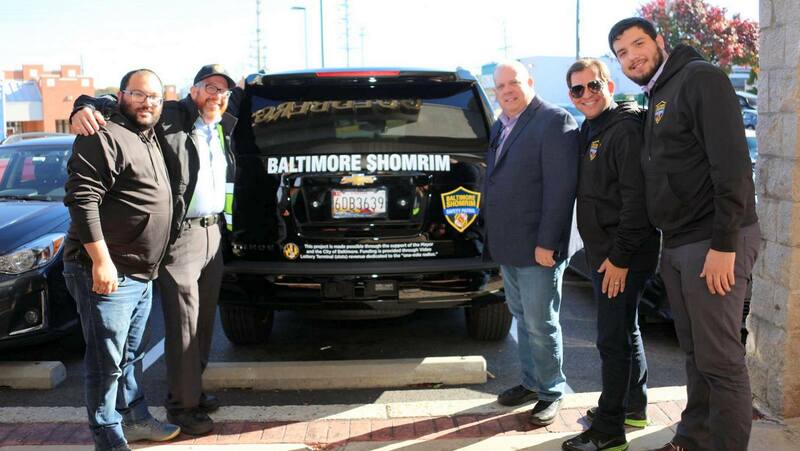 Did Hogan make significant inroads onto Baltimore’s electoral map? The governor is the most popular Republican in decades. But that doesn’t translate into power for the Republican Party. ANALYSIS. City voters approve Question F, a more independent Inspector General, and Question G, a less independent Director of Legislative Reference.